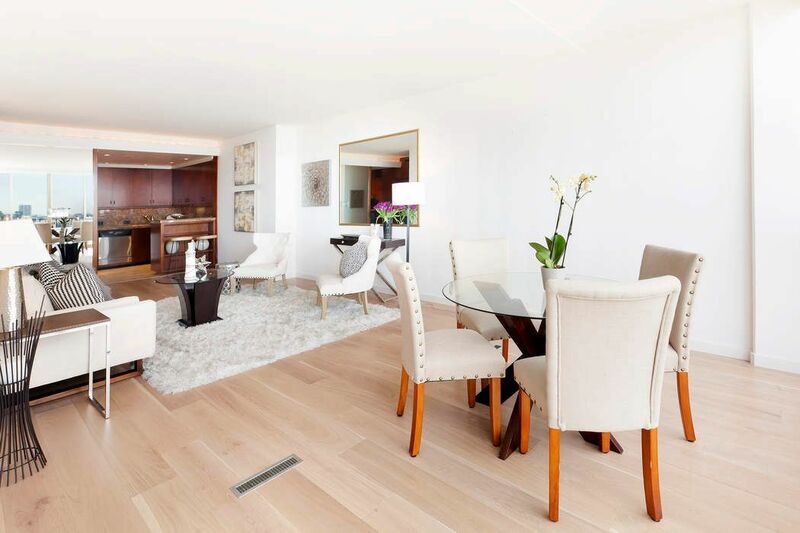 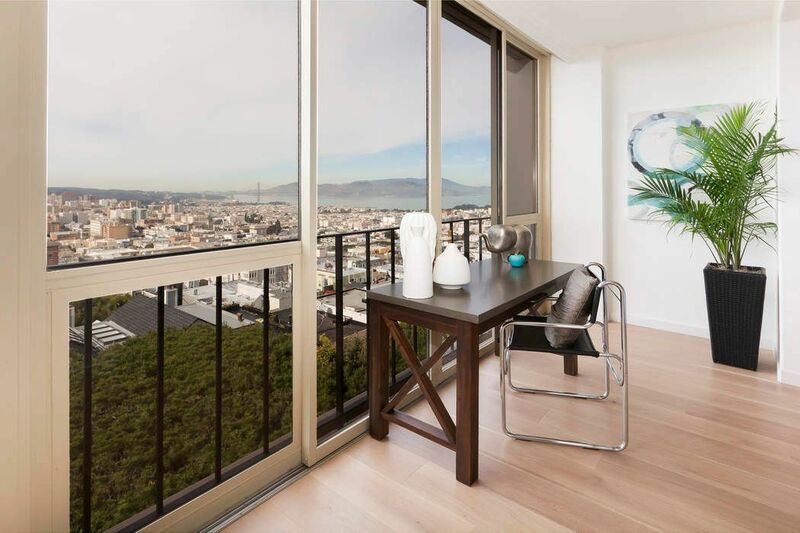 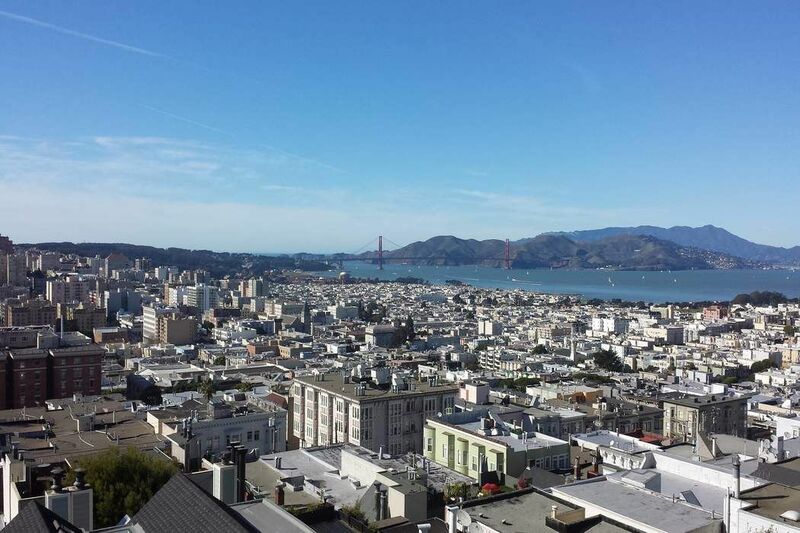 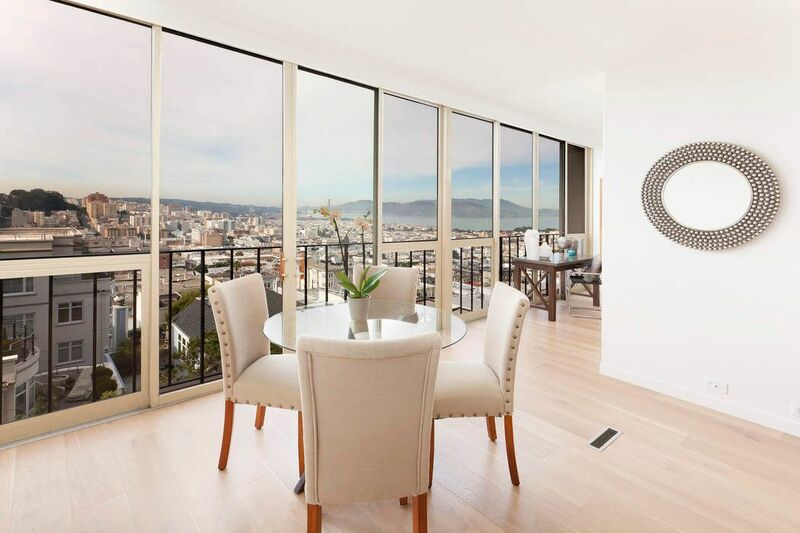 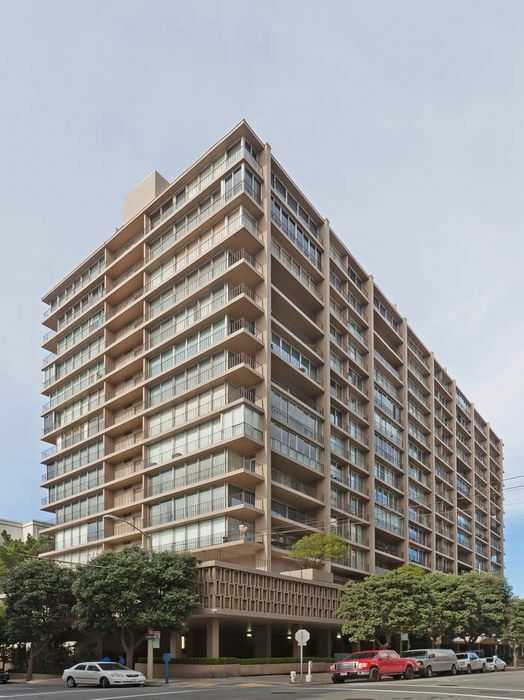 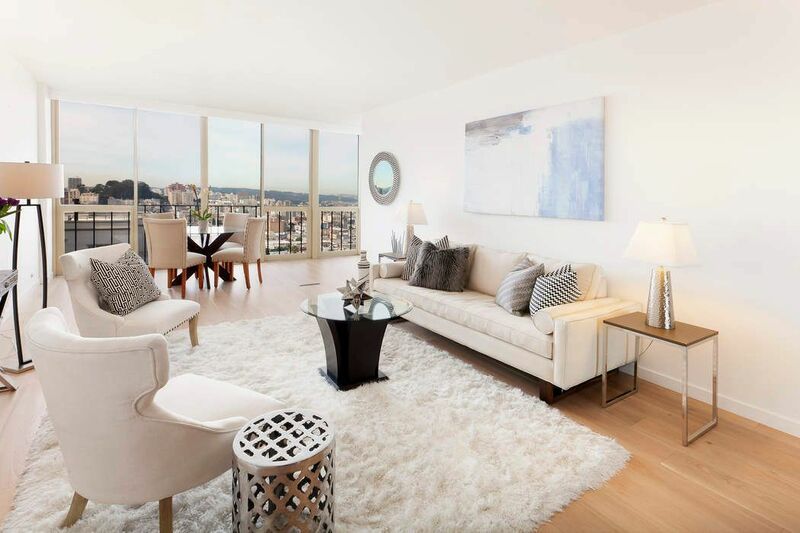 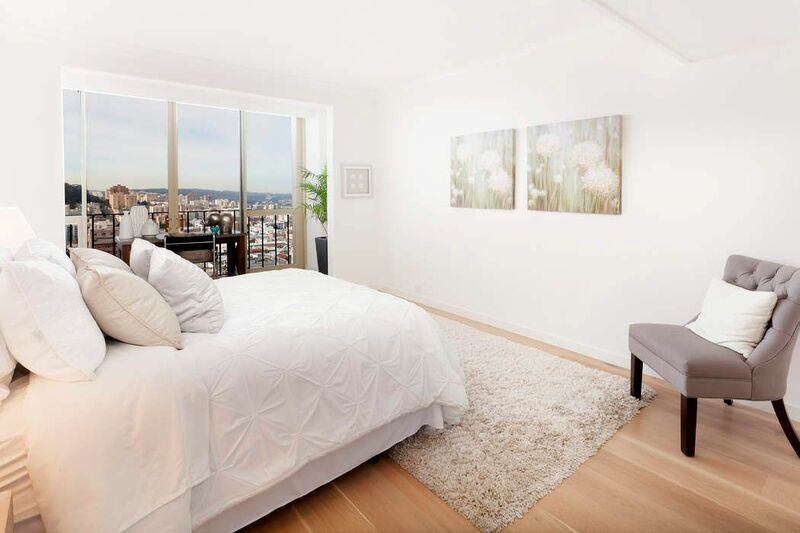 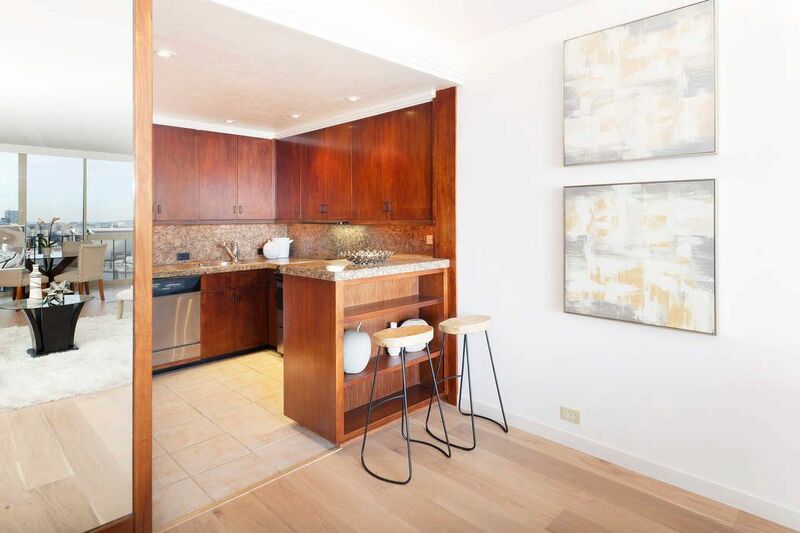 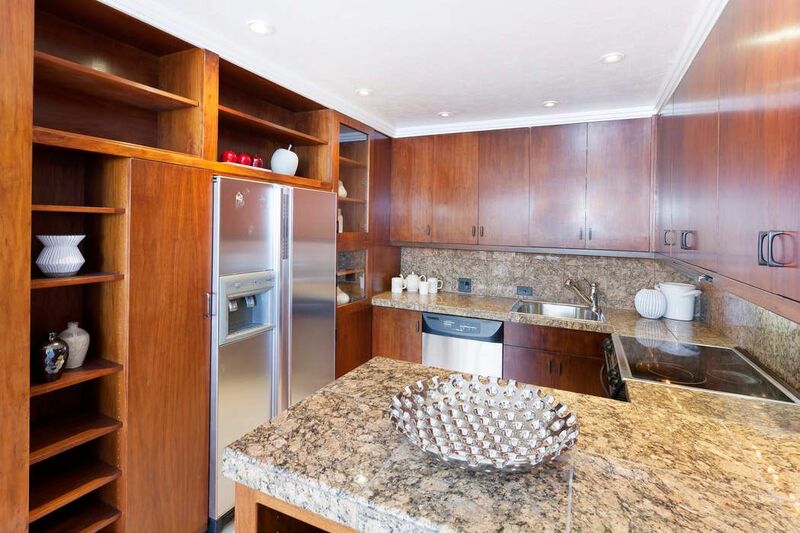 1333 Jones St Unit 909, San Francisco, CA 94109 | Sotheby's International Realty, Inc.
Unobstructed, full span, Golden Gate Bridge views are exemplified at The Comstock, a premier coveted full service mid-century building at the apex of Nob Hill. 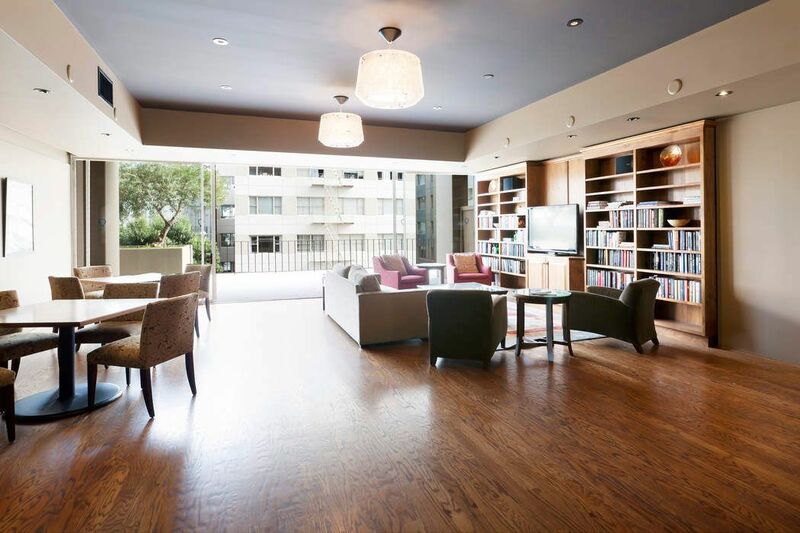 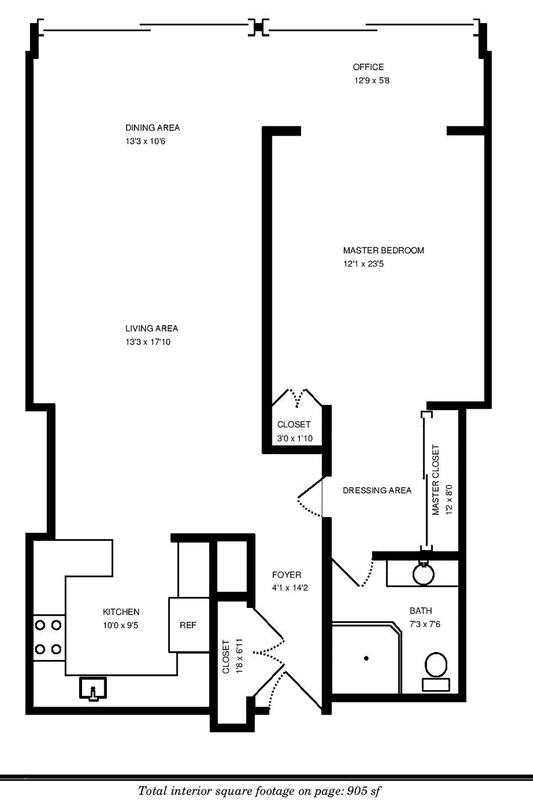 This Manhattan-style cooperative apartment offers a comfortable lock-and-go lifestyle adjacent to Huntington Park, hotels of great renown, and Grace Cathedral. 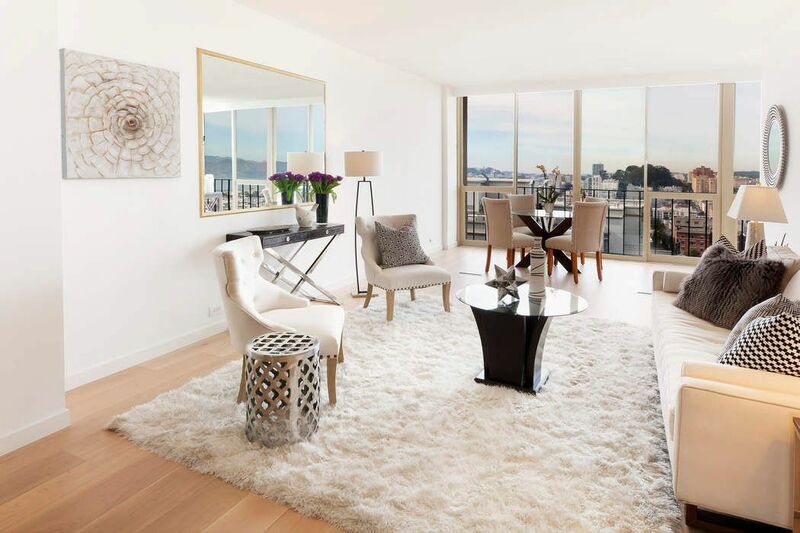 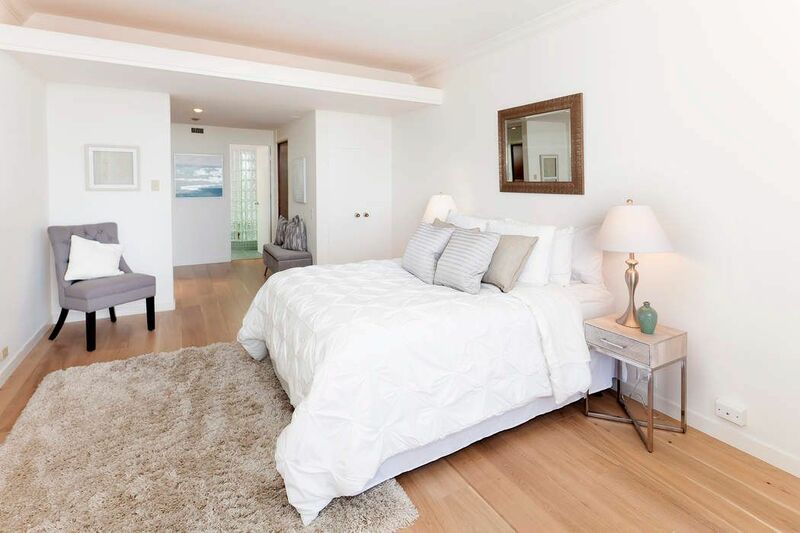 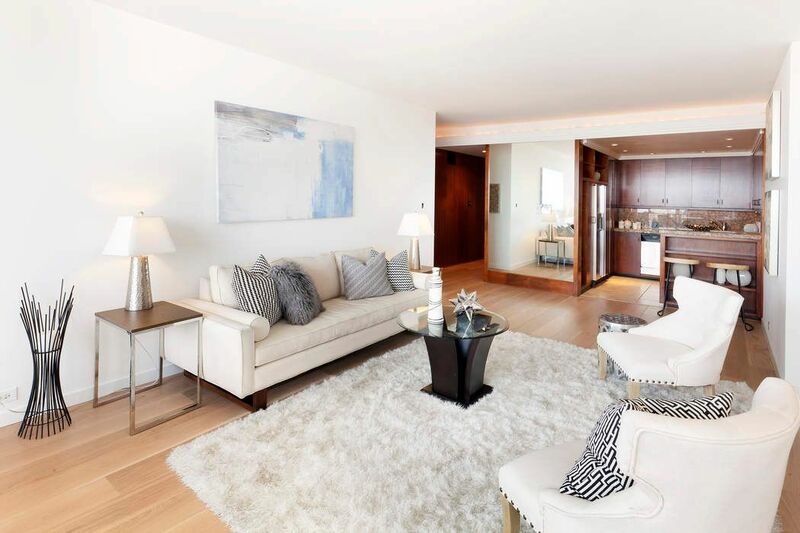 This chic space exudes understated elegance with generous proportions and architectural details, updated kitchen and bath, original wood paneled wall entry, and floor-to-ceiling windows showcasing the extraordinary views. 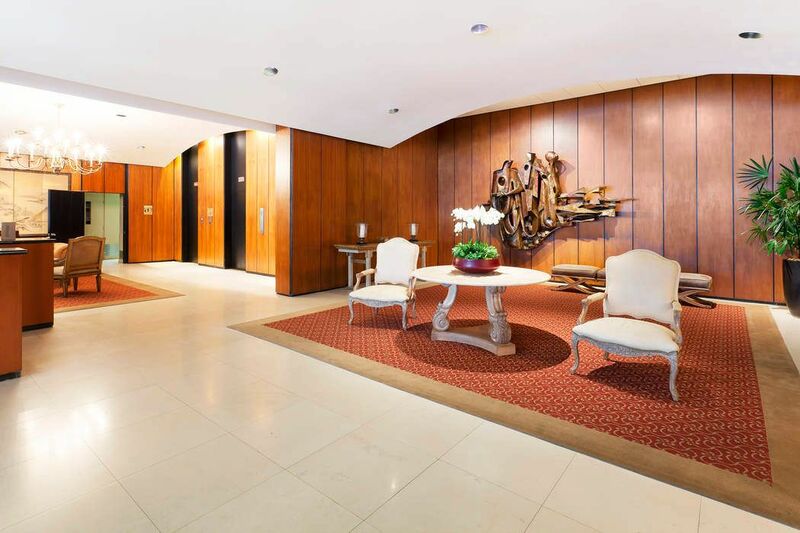 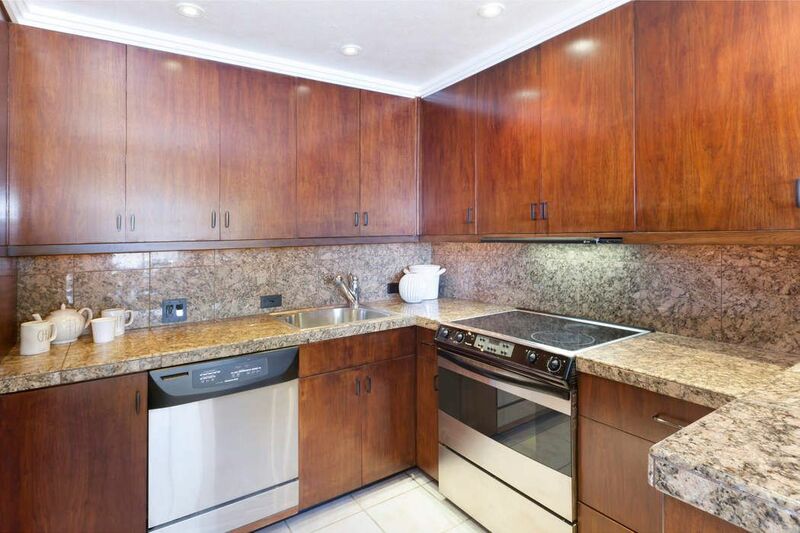 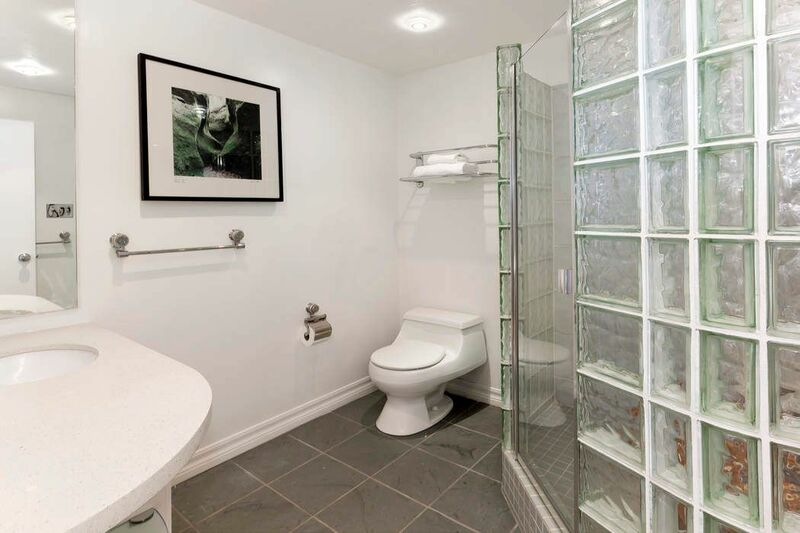 This immaculately maintained 24-by-7 fully staffed building offers an elegant lobby and guest parking. 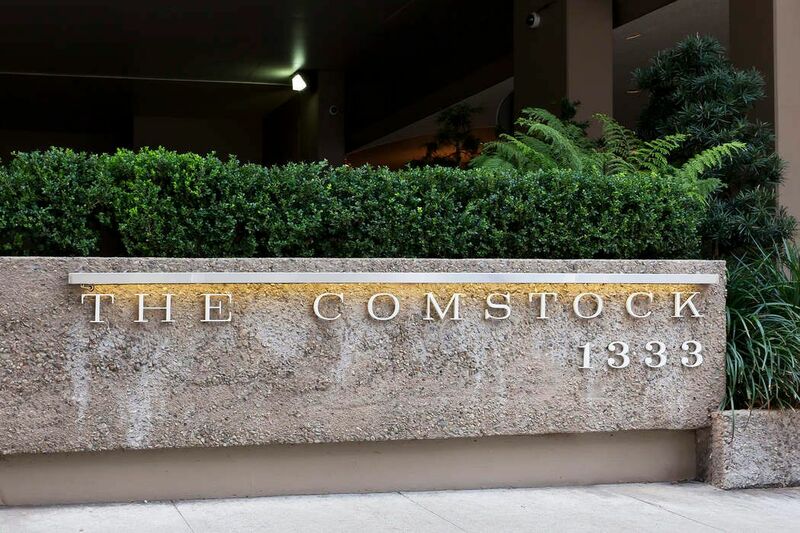 HOA dues are inclusive of 24-hour service, water, basic cable, building insurance, reserves, and garbage.